When you are doing a meeting, you’ll have easel signs all over the place. They’ll be in front of meeting rooms showing the schedule, at the registration desk, in the break rooms, even at the bus pickup area. 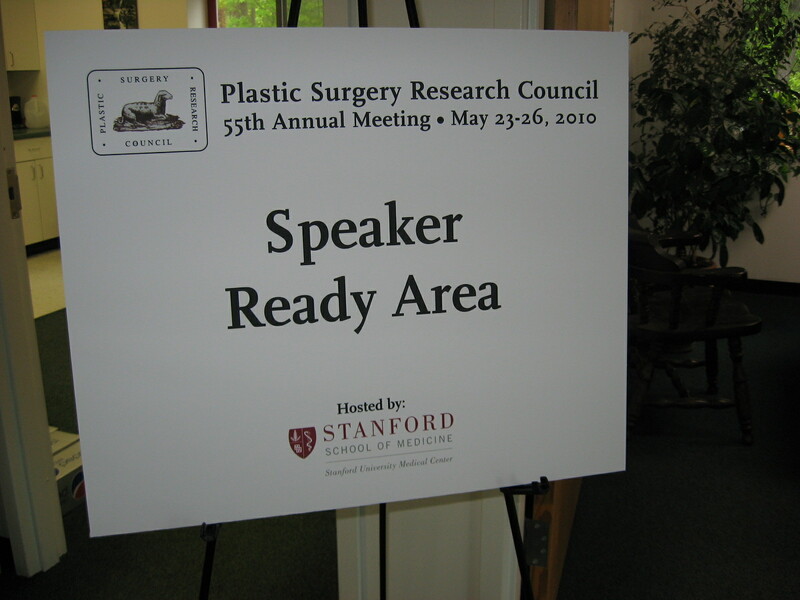 We do a lot of easel signs, usually direct printed on foamcore. This new technology is a single step printing process, and much more affordable than earlier processes that required printing on paper and then mounting to foamcore board. You get the same great four color printing at photo realistic resolution. The only difference is that the inkjet printing is done directly to the easel sign. We are finding that people can’t even tell the difference. Which is great- the same product at a better price! So, when the time comes to order your easel signs for your next meeting, think of us! This entry was posted in large format printing and tagged conference signs, easel signs, meeting signs. Bookmark the permalink.